As a member of the Institute of Customer Service (ICS), Nu-Heat marked ICS National Customer Service Week with a series of briefings, training and cross-departmental activities, culminating in our very own Customer Service Champions Awards on Friday 7th October. Nu-Heat’s people were invited to nominate colleagues who have demonstrated excellent customer service skills in the categories: ‘Fabulous on the Phone’, ‘Using our Expertise’ and ‘Delivering on our Promises’. Over 100 nominations were received across the three categories, and the judging panel had some tough decisions to make. After all the votes had been counted and verified, the achievements of nominees and winners were celebrated at a short awards ceremony followed by the obligatory tea and cake! The ‘Fabulous on the Phone’ award was presented to Fran Johnston, Administration Co-ordinator and a familiar voice for many of our customers and suppliers. Runners up James Davies (Customer Support Engineer) and Luke Tinmurth (Business Development Manager) were also highly praised for their excellent telephone manner. Design Technician Tom Buxton received the ‘Using our Expertise’ award for his commitment to helping colleagues with processes and programmes. Sam Loader (Commercial Project Engineer) and Peter Bell (Systems Analyst) were also highly commended for using their expertise to help both colleagues and customers. Field Services Engineer Will Blair was crowned winner of the ‘Delivering on our Promises’ category, and recognised for going ‘above and beyond’ to help our customers. 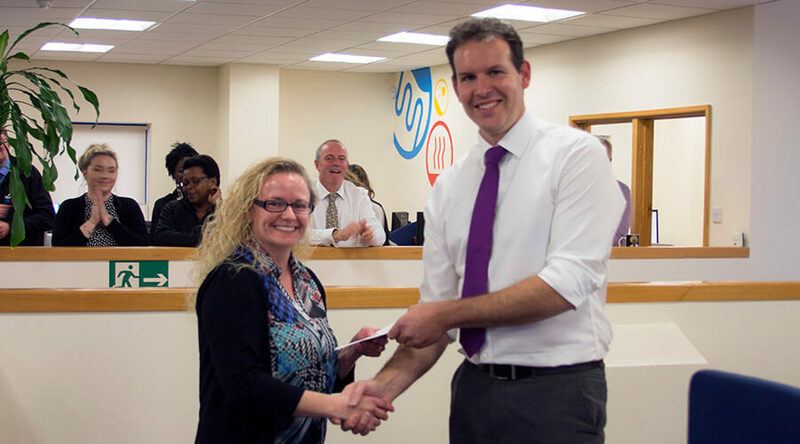 Runners up Debbie Clapp (Project Manager) and Ian Weatherstone (Field Sales Manager) were praised for their work in keeping projects on track and ensuring that our customer promises are met. Nu-Heat prides itself on delivering consistently excellent customer service, and records all feedback to help us continue to improve. If you would like to leave us some feedback, you can do so by calling 01404 549770 or sending an email to info@nu-heat.co.uk. Nu-Heat recently participated in the UK’s largest benchmarking study with the Institute of Customer Service and the results show that our service is on par with (or even better than!) some of the most customer-centric companies in the country. Feedback from our customers, collected independently by the ICS, gave us an overall score of 88.8 out of 100 on the UK Customer Satisfaction Index – an incredible result that shows everyone at Nu-Heat is committed to providing an excellent level of service. For comparison, other top scoring companies included Amazon with 86.6, First Direct with 85 and John Lewis with 84.9. Customers frequently described Nu-Heat as ‘professional’, ‘efficient’ and ‘reliable’ and our team as ‘knowledgeable’, ‘friendly’ and ‘informative’. Nu-Heat is dedicated to continuously improving what we offer our customers, so even with this fantastic result we will carry on looking for ways to deliver an even better service. Every piece of feedback we receive – whether positive or negative – is logged on our system to help us achieve our goal of creating happy customers who are proud to own a Nu-Heat system. If you would like to leave us any feedback, give us a call on 01404 549770 or email us at info@nu-heat.co.uk. You can also leave feedback via our email footer – just select your chosen smiley to write your comments. Whatever the stage of your project, and whether it’s your first or twenty first foray into warm water underfloor heating (UFH), it can often be helpful to discuss your plans and ideas face to face with an expert. 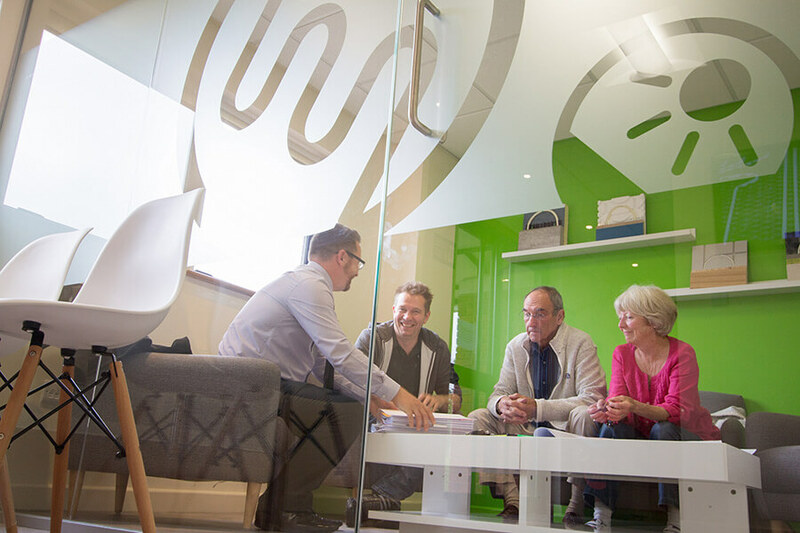 Whether you are a homeowner, installer, builder, developer or architect, we like to meet our customers, and firmly believe that a friendly chat over a cuppa is worth its weight in gold. As proud members of the Institute of Customer Service, we will always aim to offer the best possible customer experience. If you are not able to pop in, we can always arrange for one of our national network of UFH experts to visit you on-site. What can you expect when you visit Nu-Heat? We want every visitor to feel welcome and valued, and have recently finished work on a warm and comfortable meeting area which is designed to help you get the most out of your visit. This dedicated space showcases our latest products and literature, allowing you to get your hands on our range of UFH floor constructions and thermostats. 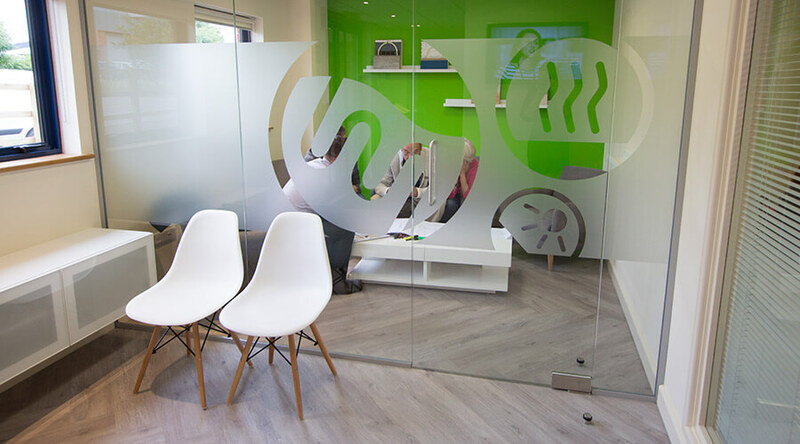 Our building is heated by one of our screed UFH systems, and paired with a luxury Upofloor vinyl floor covering in our customer meeting area, the perfect partner for underfloor heating. That’s great! It is never too early to come in and have a chat about new build or renovation projects, and there will always be an expert on hand to assist. Even if you are just considering UFH as a possibility, we’re happy to speak with you about options to suit the project. Pop in or phone ahead to arrange a meeting with a Technical Account Manager who can offer advice and guidance. They can help you to identify the best UFH solution for the project, taking into account the property type and intended use, the heat source (for instance gas, oil, solar thermal or heat pump), floor construction, installation considerations and any specific requirements. If you are working with a builder or architect, we can help to provide the specification information they will need to populate the plans. No problem. Bring the plans when you visit, and your dedicated Technical Account Manager will be happy to go through these with you. As well as seeing sample products in our new customer area, you can also visit our nearby warehouse and training centre to view working UFH systems in situ, learn about how they are installed and get to grips with which UFH systems best suit the project and chosen floor coverings. Your Technical Account Manager will be your main point of contact at Nu-Heat, and will work with you as the project progresses. Of course! Call ahead to arrange a time to meet your Technical Account Manager and the Designer working on the project. They can assist with any questions you may have, and can also offer you a tour of the offices so that you can walk through the process that the project takes from initial enquiry to delivery. No two projects or customers are the same, and just as we design your bespoke UFH system to meet your specific requirements, we also want to make sure we offer you the level and type of support that you need at each stage of your project. Contact us on 01404 549770 or pop in to our offices to chat about UFH options for your project.